Spring 2018 Anime Line Up officially ended. With the Summer Line Up starting to show its heat, I remember the fresh taste of the Spring. Before I knew it, eight out of ten were anime that somehow highlighted food if not focused on it. By the end of the season, I think I gained weight. Haha! 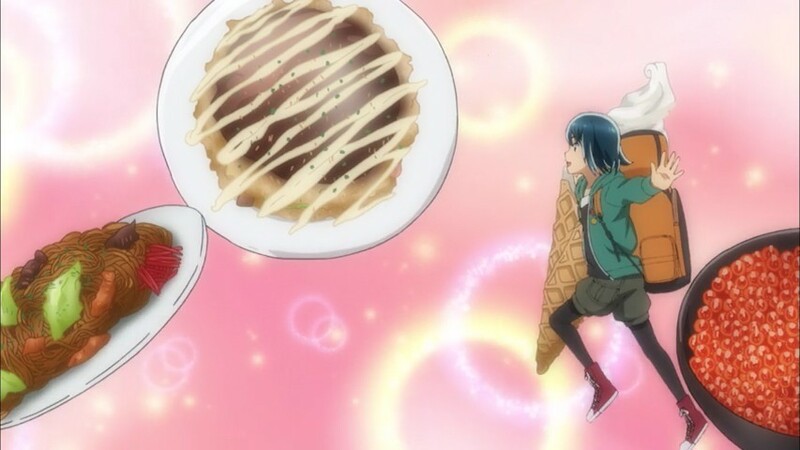 Watching food in anime makes it really appetizing. You’ll know what I’m talking about if you have at least seen a Studio Ghibli film. As I watch Food Wars, I make sure it is during my lunch break when I’m eating already so I don’t feel the urge to eat again just to satisfy my cravings. That goes for anime revolving around food such Isekai Izekaya, Yotsuiro Biyori, Menu for the Emiya Family, and Kakuriyo. What about Golden Kamuy, Hinamatsuri and Cardcaptor Sakura Clear Card? game, and Sakura with her bento lunch preparations as an example. Again, it made me hungry. Did you have a good Spring Anime Line Up too? Posted on July 24, 2018 by Shi-naPosted in ANIMETagged ANIME, anime food, bnha, boku no hero academia, cardcaptor sakura, fate stay night, food, food wars, golden kamuy, hinamatsuri, isekai izekaya, kakuriyo, mha, my hero academia, yotsuiro biyori.